Ever wonder how a saint becomes the “patron saint” of something? What did Anthony find to become patron saint of lost things? Or Jude, the patron saint of lost causes – what did he lose to claim his title? And Christopher, what feat did he perform to become patron of travelers and athletes? I’m not sure about all of those saints – though I have my ideas – but I do know about one. In my opinion, he’s the patron saint of opening churches. His name is Saint José Sánchez del Río. You see, I’m chaplain at a catholic school here in Cincinnati. One day almost two years ago, the building inspectors showed up and told us that our chapel wasn’t up to code. 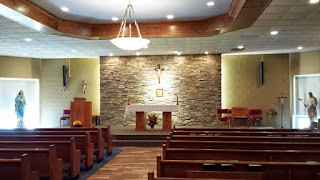 They lowered the maximum occupancy of our school chapel from 200+ to 60. Which meant we couldn’t have all-school masses there anymore. For starters, we’d have to add another exit door. Not only that, but the inspectors informed us we would have to rip down the whole wall behind the altar and replace it with fire-resistant materials. Which would cost us about $33,000 – money we just had sitting around. Right! Like the people of Israel, we were forced to worship in the desert - in this case, the school auditorium. Ok, well, it wasn’t quite so bad as a desert. But I missed our chapel! As you can see, it’s a beautiful, prayerful place. Fast forward two years. We had lost our chapel so long ago, that “mass in the auditorium” was now the new normal. Then one of the moms at school rallied behind the project. She worked with the city to figure out a way to make the chapel up to code without spending $33,000. She found someone who put in the second exit door on our shoe string budget, and another man who had some extra concrete to pour a ramp up to the door. So the other day when she told me the inspectors were coming, I hunkered down to pray. And glory be, they moved our occupancy back up to over 200. That was at about 10:30am. All school mass is at 2pm on Fridays. So we scrambled to set everything up, and it was beyond-joyful for us to celebrate mass there again. I, for one, felt very much like dancing down the aisle. And smack dab in the middle of the mass, it struck me: Saint José had worked this miracle. How did I know? Saint José, the little Mexican martyr I wrote a book (“Blessed José”) about, is one of the patrons of our school. Not only that, but February 10th is his feastday, and our first mass back in our chapel was the first all-school mass after celebrating his feast day as a saint. And there’s more. In the back of the chapel, we have a small side altar. Before, it was dedicated to Saint Miguel Pro – an awesome saint. 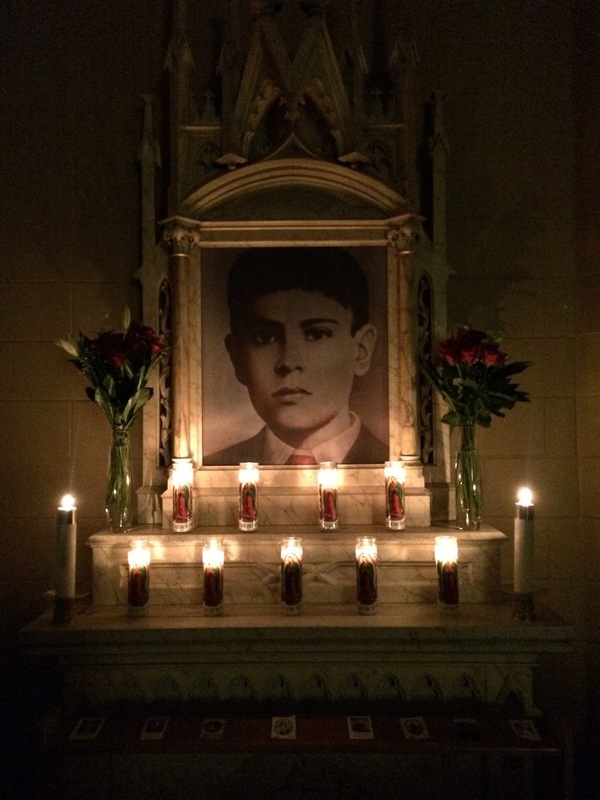 But as soon as José became a saint, we felt the altar should be dedicated to him – a young saint for a school full of young saints-in-the-making. So two of the faculty swapped out Saint Miguel’s image for Saint José’s. That was early February. What really struck me was this: if little Saint José is patron of something, what is it? Opening up churches, of course! 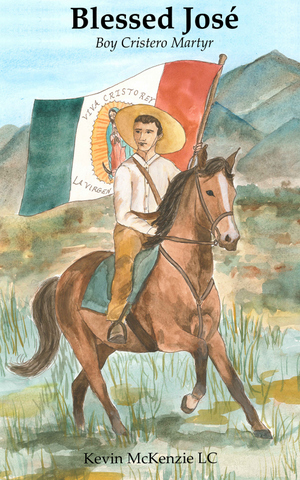 That’s what he gave his life for – to reopen the churches of Mexico. And he had reopened our church! Wow! Saint José, pray for us!! !